Based on our microwave oven. 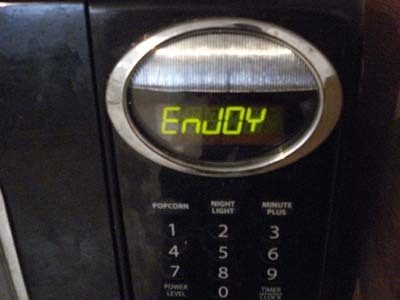 My wife was the first to notice that little message, which only appears when cooking popcorn, and we both found it oddly humanizing… for an oven. I noticed you fixed the N. Another irritation from the microwave.